I have always liked Accessorize, with it's mix of unique, everyday and occasion accessories - a something for everyone store as my mum would call it. My earliest memory of this store was buying the craziest pair of multi charm earrings (which i do still own and oddly at the time only wearing one like i was some kind of fashionista pirate! ), and always walking around the tiny Cheltenham store lusting over so many items on a Saturday afternoon armed with my pocket money. Particularly loving the new collection as it seems to be aimed at the younger edgier customer but still very wearable - and the new face of the brand Tamsin Eggerton is a perfect fit for this younger modern take on the season. She seems to support the mix of classic pieces with a quirky twist, and embodies everything that the brand wants to portray to its customers. This synergy comes across in the Lookbook and brand photography - everyday and wearable styling but with the extra little something special. 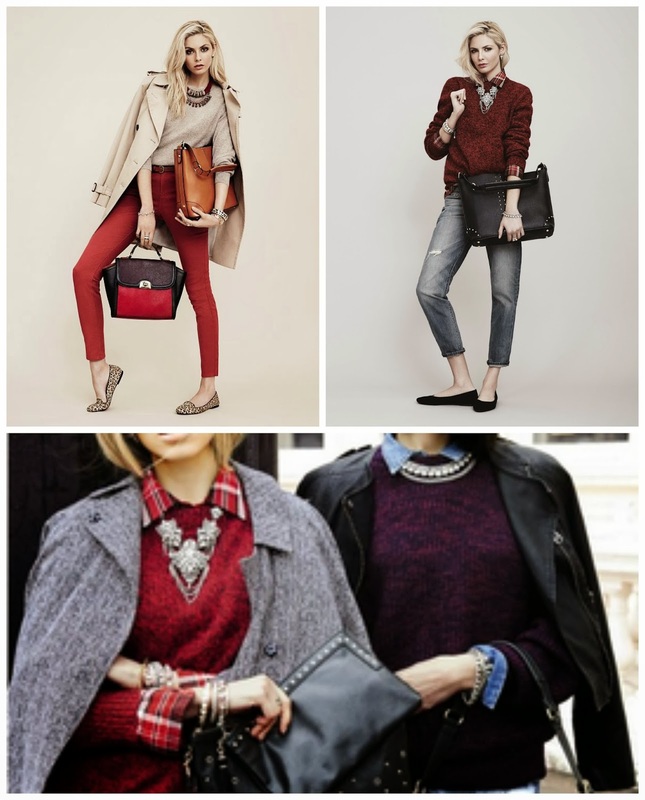 My favourite look is the casual jeans and tartan shirt layered under the burgundy jumper with the statement necklace - this is a look i want to replicate. With so many great pieces in the new collection it was hard to narrow down my favourites but below are my top 8 items - something from most departments showing that the brand is not a one trick pony but can create beauty in slippers or phone cases as well as its usual glittering jewellery. My number one piece though is the Delhi Urban oversized necklace and at £25 this is an item that will simply have to be added to my already full collection of statement pieces. Mesh Plait Bracelet £14, Red Leopard print Scarf £17. 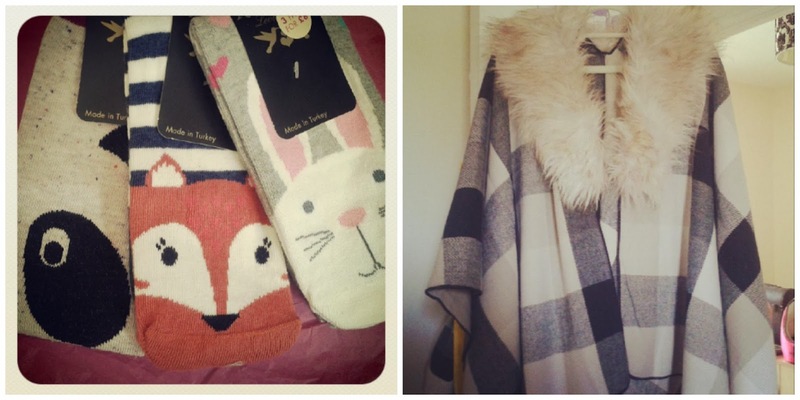 On top of my current loves i have already been and done a little shopping in store - only a couple of bits but I couldn't resist the cute animal socks on 3 for £8, besides who doesn't like a cute character hiding in their boots! Also an amazing blanket cape, which has been worn a few times but the removable fur collar has not left my neck as it is the perfect colour and size to wear with all my winter jackets and coats and add that touch of Hollywood glamour to my everyday outfits. Below is a great video i found on YouTube that helps to capture the excitement behind this new collection and how well received it has been within the fashion industry. 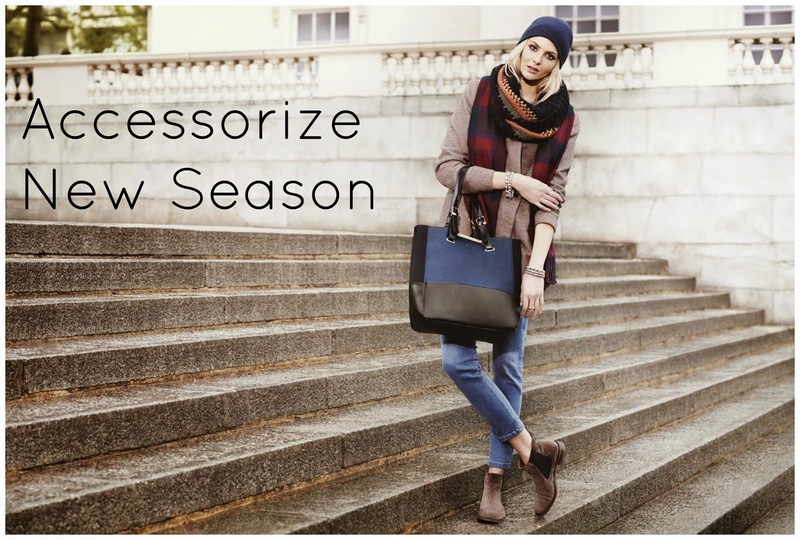 Hopefully Accessorize will continue with this more modern take on accessorising Britain and give us the fun, fashionable pieces within this new collection for many seasons to come. What is your favourite piece on the Accessorize website at the moment?